For a unique form of entertainment at your next event or party, hire a New York henna artist to decorate your guests with beautiful artwork. 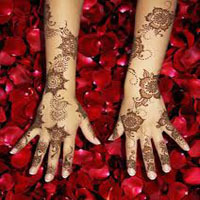 Kids and adults both love getting cool henna designs painted on their hands, arms and feet. KidsParties.Party, a new local resource, features talented henna artists in New York that can do all types of intricate designs for your guests. 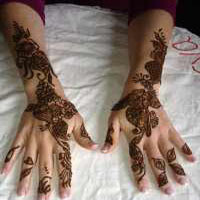 Henna tattooing can be a great theme for any party. 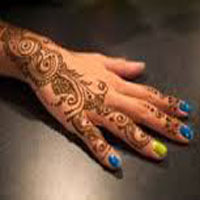 Some great henna tattoo artists in New York are available for your party. One of them is Arva. Arva is a talented henna artist. Arva can be hired for a corporate event, graduation party, birthday parties, sweet16 party, festivals, or just for fun. Prices can be charged on an hourly basis or individual basis. 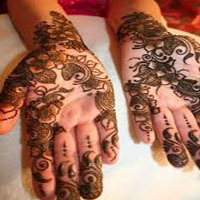 The henna is as natural as possible and color stays one to three weeks. A good theme can make your event truly a super hit. A great theme can be a henna party. There are some great henna tattoo artists in New York. One of them is Jolie Henna. Henna designs of Jolie Henna are quite good. They last up to 14 days. They are specialized in bridal shows. Their rates are on an hourly basis. You can hire them to go to your place to give mehendi. The artists are very customer friendly. There are many known and unknown henna artists in New York. But a few of them know how to draw with henna on any part of the body and make it look like an absolute beauty. A great artist like this is Kenzi (aka Lisa Butterworth). Kenzi can make any occasion remarkable with henna. Brides get exquisite designs of any style they want. Kenzi also offers teaching workshops and classes all around the country. There are some great henna tattoo artists available in NY. One of them is Henna by Senya. Henna by Senya is the ultimate choice for any henna lover. Her beautiful designs and lace like patterns make any hand look like a piece of art. She uses freshest henna available. That’s why the color of the henna does not wash away easily. Her ingredients are 100% natural, that’s why it is very safe to use.